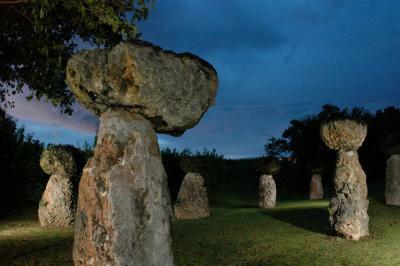 Historical landmarks, coupled with the natural beauty of Guam, offer numerous sights of interest. Latte, which served as foundation pillars for the thatched huts of the Chamorros, are found in parks and out-of-the-way jungle areas. The graceful remains of Spanish buildings, the Plaza De España, and stone bridges may be seen in Hagåtña, Guam’s capital. In other locations throughout the island, the Spanish influence is clearly visible in the architectural design of Guam’s southern homes and villages. The list of Guam’s attractions is virtually endless. Follow the links under our main "Sightseeing Guam" tab to explore landmarks in central, southern and northern Guam, along with our capital city of Hagåtña. We can&apos;t wait until you start exploring our island! Click HERE to see photos of Guam&apos;s historic landmarks.